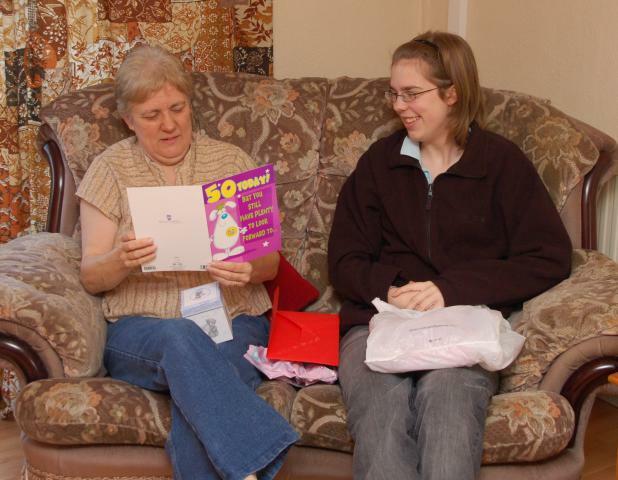 It is with regret to report that after a short illness Ann’s mum passed away in July. New year or Sylvester* for our German readers was spent with our friends near Northampton who hosted a traditional family Hogmanay with other cycling friends. On New Year’s Eve, the adults (or the keener ones) went for a ride to Salcey Forest, where we were met by the kids and lazy adults. 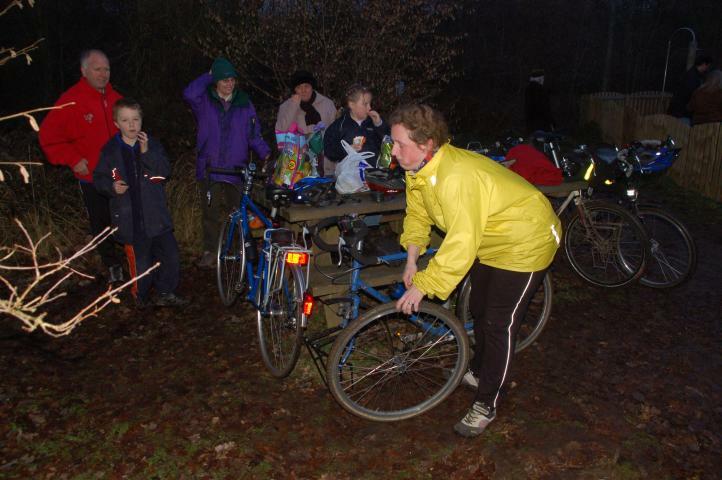 Our friend Jane who had borrowed Ceri-Siân’s bike got a puncture as she arrived at Salcey Forest and had to mend it in the dark, whilst we others enjoyed a drum up. *Sylvester – so called because Pope Sylvester I died on New Year’s Eve in 335AD and is celebrated in the German culture. New Year’s Day was spent with a gentle ride for everybody around Pitsford Reservoir. 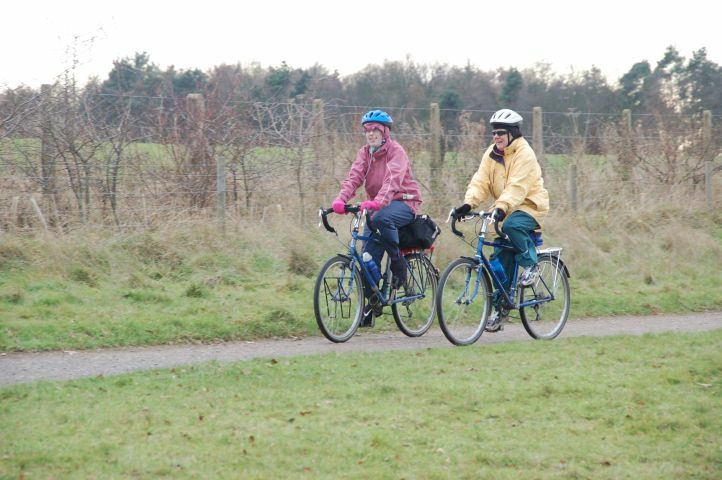 Here is a rare picture not only Ceri-Siân, but also Ann riding half bile around Pitsford Reservoir on New Years Day. Ceri is on her own bike, whilst Ann is riding Katie's. I seem to have got a reputation for having a dirty bike. It is due to my daily commute to work which takes me across the De’lise estate. 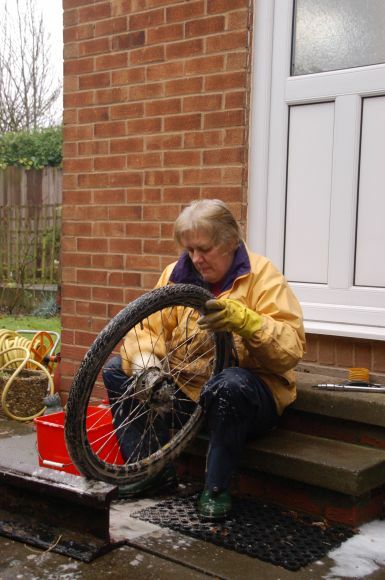 A number of times this year Ann has got so fed up with the dirt she has cleaned my bike. The main reason for her volunteering is when I tried to clean parts of it, I managed to spray the kitchen (and new lino etc) with dirt, grease and grim. For more photos of my dirty bike and Ann cleaning it click here. Ann got up as usual and headed straight to the kitchen where she was met with the sound of scrapping coming from the bin. Close inspection revealed what appeared to be two small eyes peering up from the rubbish. This resulted in a command for assistance. 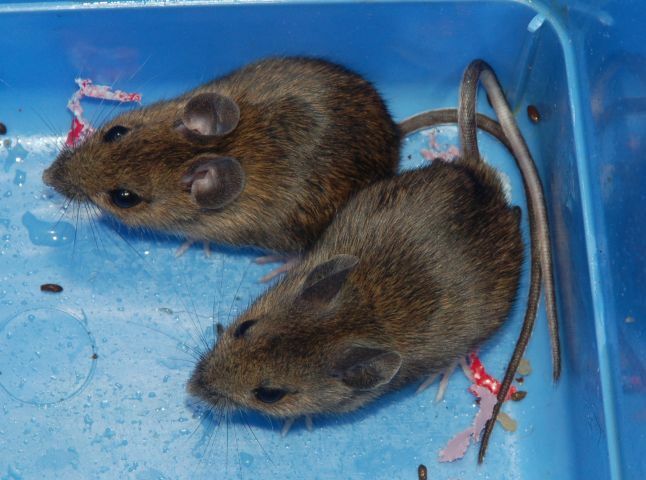 We removed the bin liner and found two field mice had got into the kitchen and into the bin. So after a photo shoot of the visitors and the issuing of an ASBO the offending mice were frog marched out of the house and released back to the wild far enough from home not to return. The ASBO seems to off worked as they have not come back. We had a quiet Easter at our friends near Oxford. We made good use of the weather for family walks. 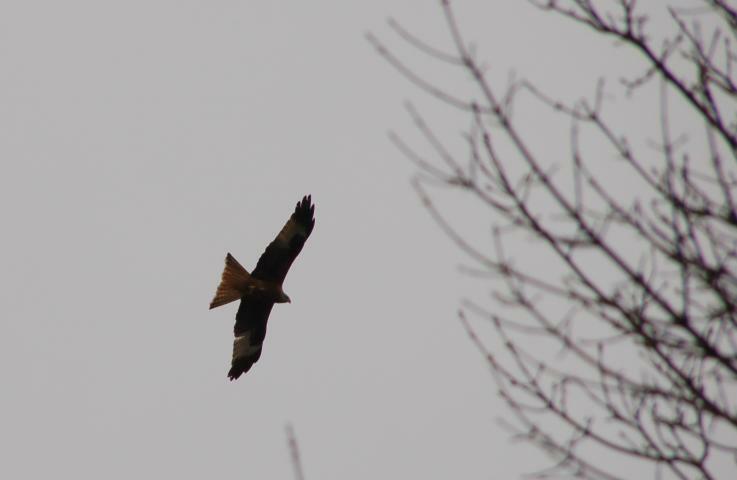 Philip and I were allowed out for ride on the Ridgeway with our bikes where we were able to observe Red Kites flying close above our heads. Ceri-Siân did well in her GCSEs getting 5 A*’s, 5 A’s and 2 B’s. She got mentioned in the Leicester Mercury for her achievements, although the local rag failed to mention her good results. She got an A in Art. 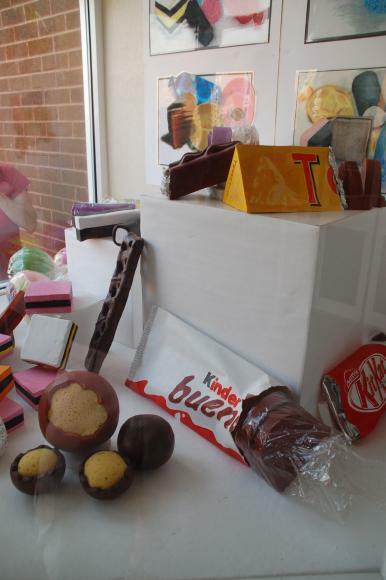 As part of their GCSE course her class had to make large sweets. They were eventually put on display at the entrance to Hind Leys Community College in the summer term. Ceri made the large Kinder Bueno. Cerri's art teacher wanted her dot do Art at A level. However Ceri had other ideas. Ceri is currently in year 12, which for the older generation translates to the Lower Sixth Form. She is doing A levels in Chemistry, Maths, French and Music. She is enjoying her courses especially chemistry. 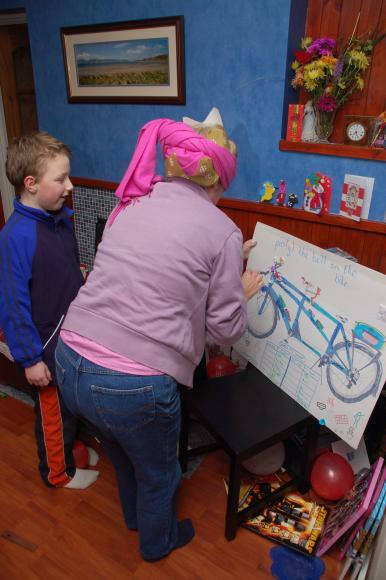 She has plastered the house with models of molecules and pasted a periodic table over the fire. Also, she has come back from skool with various stories of nearly a)blowing up the lab or b) ”playing” with some interesting chemicals. I had a few trips to our German customers this year which included overnight stays in Konstanz. In January I got to see some snow in Zurich and Konstanz, but it did not last. In May I stayed in an old monastery on the lake side which was once owned by the Zeppelin family with moonlit views of the Alps across the Bodensee. My trip in September meant travelling out on my birthday and included a rather pleasant walk around the island of Mainau on the Bodensee. I got carried away obtaining German papers her Ceri’s friends doing German A Level my bag weighed several kilos more on the way back. Apparently the view I took in May of the snow covered Alps is about the best it gets in the summer months as the area area around the Bodensee can get very misty/smoggy. One needs a very cold clear weather to get crystal clear views across the Bodensee to the Alps. Following an appeal from Coalville and District Town Twinning Association, Ceri-Siân spent two weeks on an exchange trip to Romans sur Isere, between Lyon and the Alps. While in France, Ceri nearly had the opportunity to try frog legs and snails, but (un)fortunately, they are a delicacy, for special occasions, and none could be obtained. 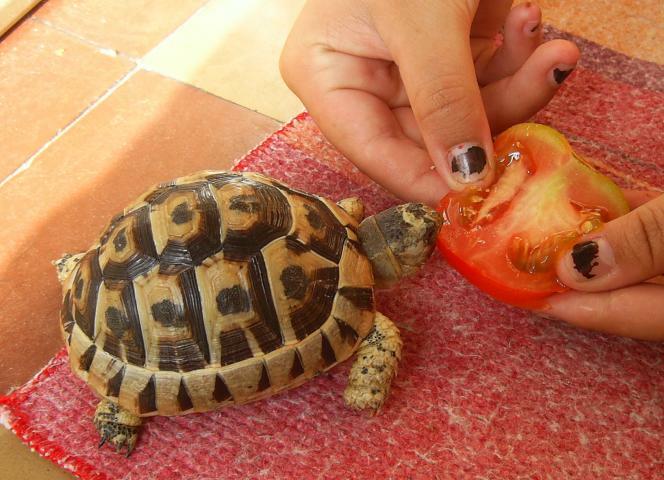 However she nearly had "Crunchy Meat Pie" as her host Morgane had two tortoises, one of which is seen here being fattened up. 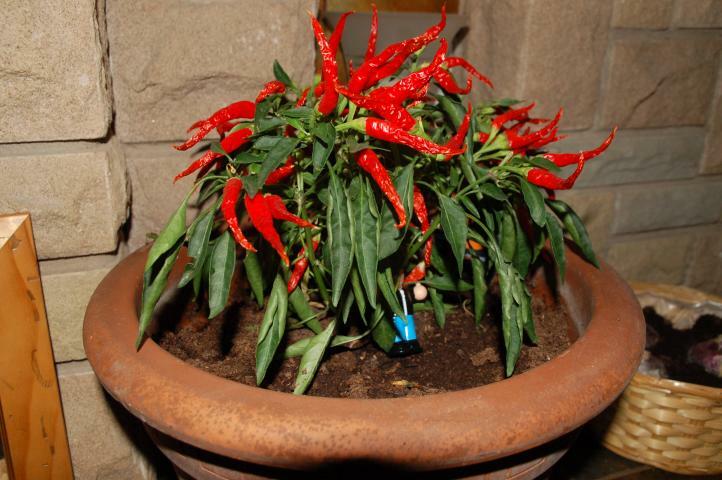 It was very hot, so hot that the heat wave (la canicule) in England seemed cold. We look forward to hosting next year but we are not sure if we will get Ceri’s host Morgane. In September we took the opportunity of meeting two of our Canadian relations, Cousins Jim and Kim. As they were staying with my Sister in Orpington, we decided on meeting halfway at Wimpole Hall in Cambridgeshire. We impressed all by providing a posh picnic laid out on a table with chairs plate and cutlery. We said we couldn’t use the house due to too many visitors! The chairs were appreciated by those who seemed to suffer from various lower limb disorders. Could it be a family trait from the Fuller’s side of family? A sign of getting older is when the Next Generation starts dropping their Next Generation. I thought I had been a great uncle for the last 31 years, although at times at least 1 niece may off thought otherwise. Our eldest niece dropped a nice large sprog in March called Sam. 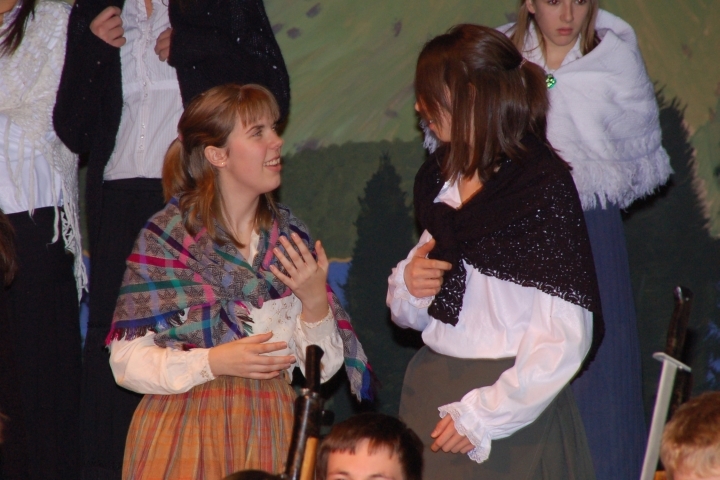 Ceri-Siân and I fought with each other to see who could knit the brightest and most vivid coloured outfit. Since the new year whenever we went shopping Ann and I got excited and kept buying bits for Sam. Ceri got fed up with this and tried to steer us away from the baby clothes sections of shops. Sam now has enough clothes from us to last two years! One of the few good things to be imported from across the pond is the school prom. 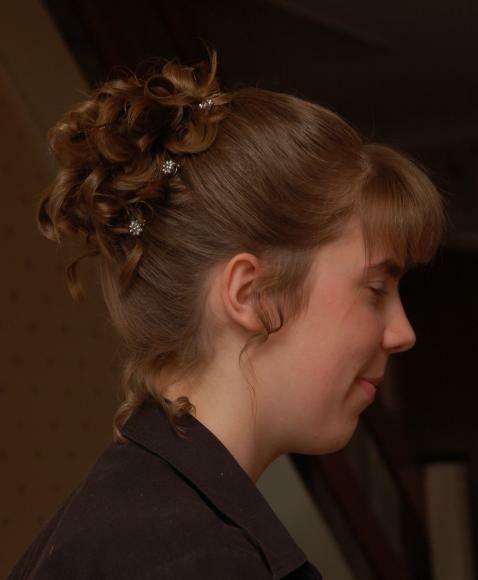 At the end of year 11, the Community College had its Prom at Loughborough University. Our house smelled like a Turkish brothel as Ceri and 3 of her friends had their hair done by a hair stylish to the Thai film industry and generally tarted their selves up. When we dropped the girls off at the venue we were very impressed with virtually everybody, girls, boys and teachers who scrubbed up well and dressed in their best glad rags. There was one friend of Ceri’s who was the exception who proved the rule. In May Ceri-Siân and I went to the Tandem Club International Rally in the Limburg Region of Belgium. Ann was booked to come with us but she decided to not to go – so instead we took one of Ceri’s tandem friends with us, Megan Davis whose family could not go this year as her mum dropped an ”after thought” a few days before we left. The weather was a bit wet at times and made the area not so appealing despite promoting itself as a “Cycling Paradise”. 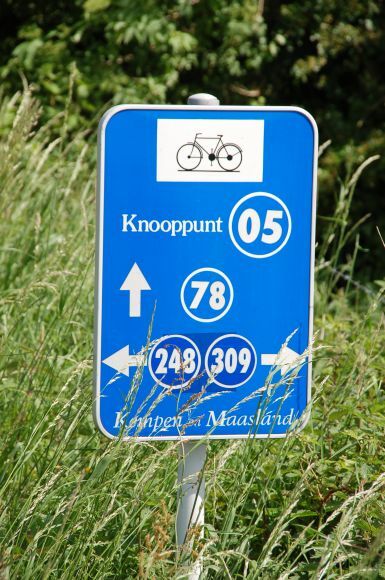 The cycle routes were based around numbered junctions so the routes we followed to quote somebody was “Route Sheet Bingo”, eg the route for Thursday went like 74, 79, 71, 91, 95, 94, 302, 301, 79. Being in Belgium at least the girls were happy when we managed to find a chocolate shop. The wet weather resulted in a DeeTour™ on one ride I took on the rest day. I rode over to the Netherlands, crossing the River Maas by ferry I used with Ceri and Melisa in 2004, but in the opposite direction. I could not return by my planned route as the next ferry down stream was closed as the landing stage was under water. Ceri-Siân gained yet another instrument this year, a piccolo. She still playing the flute and has decided work for Grade 8 (sometime in the future) rather then take three Grades 6, 7 and 8. (Why do 3 when you only need 1!) She is still playing Bassoon for the Shepshed Community Band. 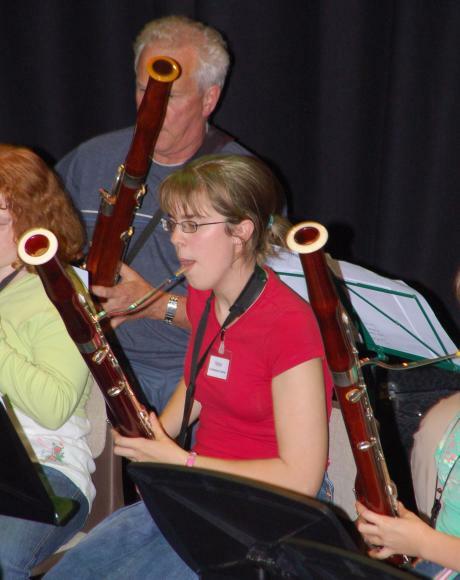 In October Ceri attended a Bassoon workshop at Oakham Skool. The workshop was led by Meyrick Alexander who Ceri and I had seen play at the Guildford Spring Festival. 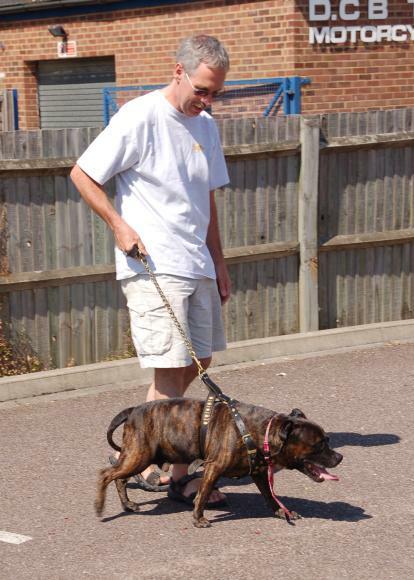 Ann’s brother Fred and his family have three Staffordshire Bull Terriers. I have always avoided them as dogs and I do not get on. However for some reason their eldest dog took to me this summer allowing me to take him for a short walk and always running to greet me when we called. Rio the dog next door now greets me with a wag in his tail after we took him for a long walk with friends in October. Rio was scared of me previously, as in the summer when I asked him whether he was ready for the cooking pot he ran back home yelping. 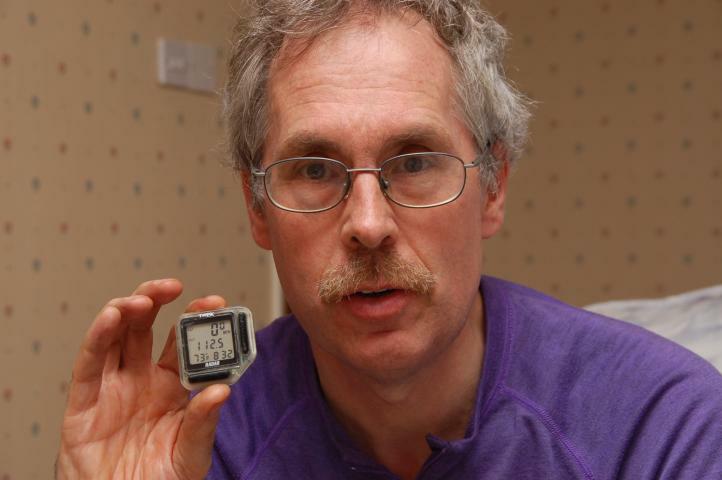 In the last 20 odd years the furthest I had been on my bikes was 86 miles. Having a week off at the end of November combined with the mild weather I took the opportunity to ride a 100 miles. This I did on the Monday in clocking up 107miles. I had planned to do a bit further but the wind on the outward leg was a bit too strong otherwise I might of done 200Km ie 125 miles – I will leave that as a target for next year. On the Friday having completed lots of gardening jobs I was allowed out again on my bike. I rode to Oadby to go for a ride with a friend who also had the day off and then rode home. On the way home as I reached Barrow I calculated that I would have done just under a ton so I went for a DeeTour™ and in the end clocked up 112 miles. I Still Can Make the Girls Cry! This year there seemed to be record numbers of babies being dropped. This meant I was knitting a few items this year. 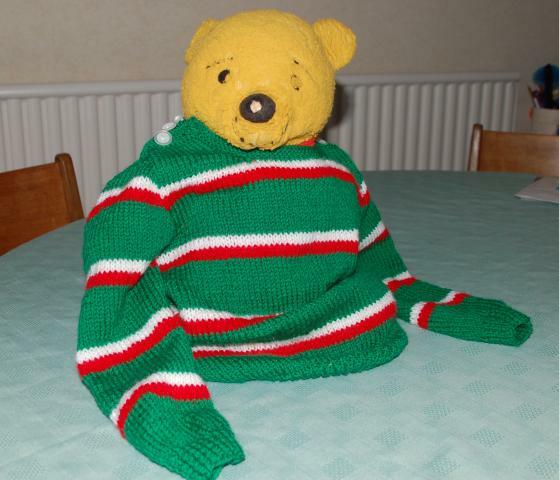 One of the girls at work who is a Leicester Tiger fan burst into tears when she opened her present I had knitted – a little Leicester Tigers jumper, which is seen here modelled by Pooh Bear. Ann and Ceri-Siân are Innocent! Not the latest justice campaign but Ceri-Siân and Ann were well pleased in November when we went to the factory outlet near jct 28 on the M1. 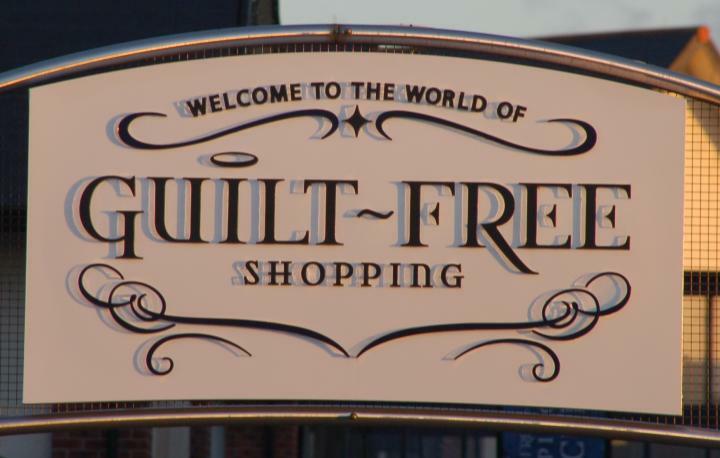 In big letters above the entrance were the immortal words “Welcome to the world of GuilT Free Shopping”. Not that they ever felt guilty in the past. Camping this year has been limited. We started the season with our traditional trip to Blaxhall. Ann took it easy during the day whilst Ceri and I clocked up the miles on the tandem, reaching parts of Suffolk we had not been to before. In July we had a nice weekend in Shropshire on the Tandem Club Family Camping weekend which included some nice rough stuff sections and buying up produce at a local village hall. 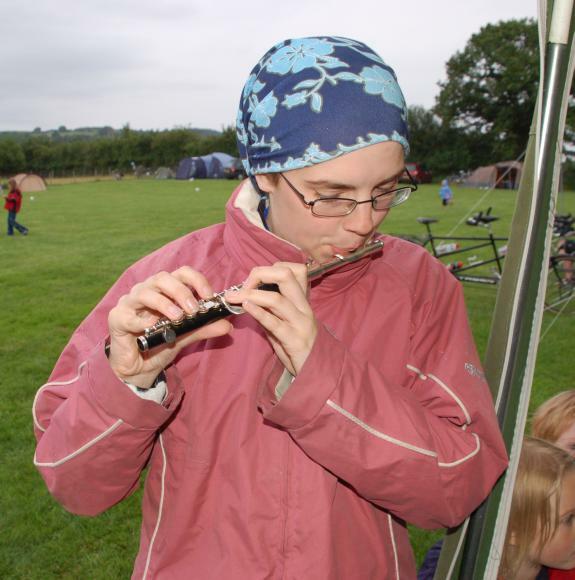 During the weekend a number of people played their instrucments including Ceri who had brought her piccolo along. Whilst Ceri-Siân was in France Ann and I spent a week camping in Hertford. We then went home to pick Ceri up to continue our camping at Hertford. We only managed one trip to Quorn on the bikes. August Bank Holiday weekend we camped with the Association of Lightweight Campers near Stoke. 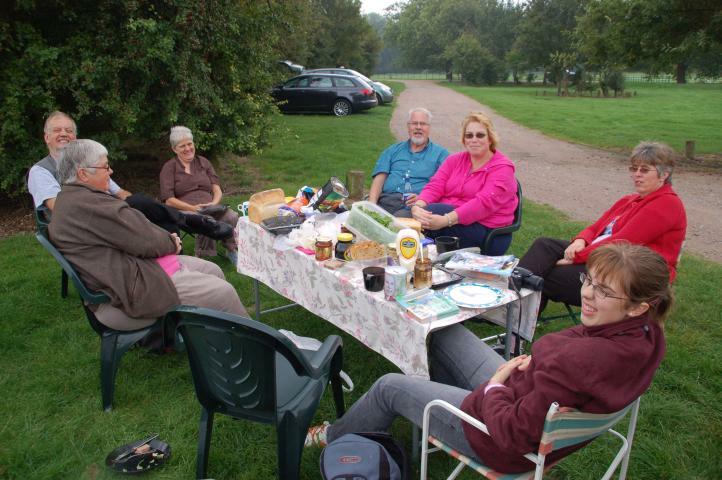 We did manage to extend the camping season for Ann when we camped October Half Term w/e with friends at Tonge just up the road to us. The weather was mild but very windy. As we struck camp on the Sunday morning we managed to bend one set of poles. I managed to camp out mid December when we had record crowds staying over for The Hired Man and Belton Mince Pie Run. 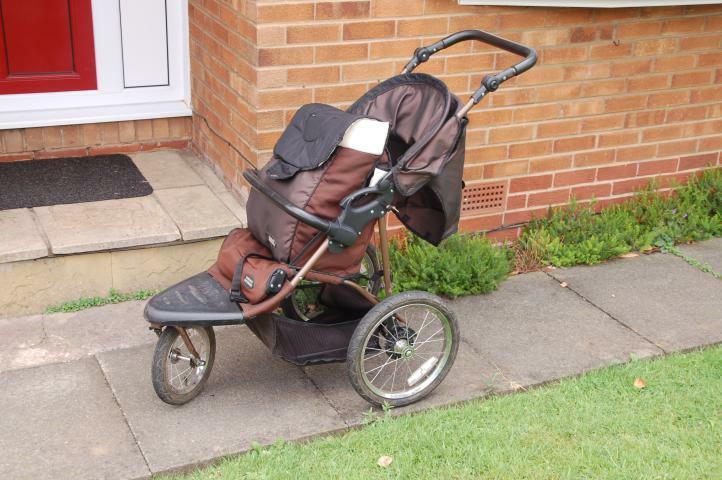 Some neighbours must of thought we were having an after thought when we raided their garden sale and brought baby items such as a push chair. Having so many friends and relations dropping babies we knew who could do with what! 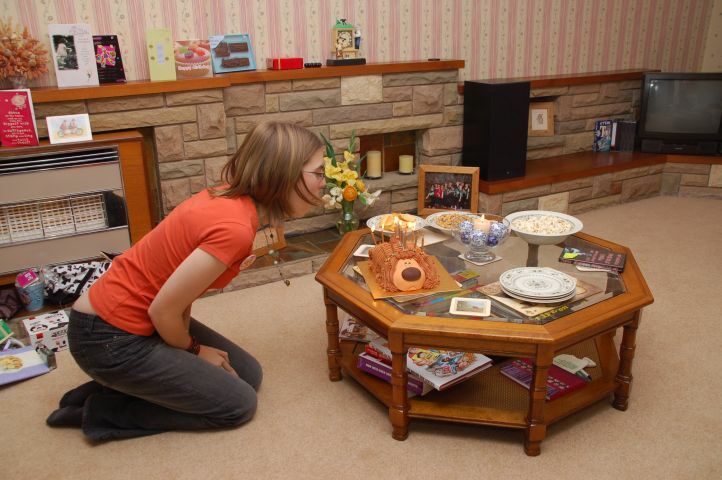 One baby item Ann won't get rid of is Ceri's old toilet foot stool. Ann makes use of it to reach inot the top drawers/shelves etc due to her lovely stature. We had a clash of events with the Lat Night of The Hired Man occurring on the same weekend as the Belton Mince Pie Run. We impressed the skool by being the first to buy tickets and a block of 10 at that. We had 12 sleeping over Saturday night after the Hired Man. To cater for the numbers staying over we had two tents in the garden, one for me, the other for young Carwyn who wanted sanctuary from his baby brother waking up in the night. It was a warm night only 39°F, I wanted a hard frost to try out my new sleeping bag. On the Sunday we hosted our traditional Jacob's Join after Belton Mince Pie run. My eldest sister Liz who had stayed for the Hired Man did sterling work brewing up and washing up for the thousands who came. 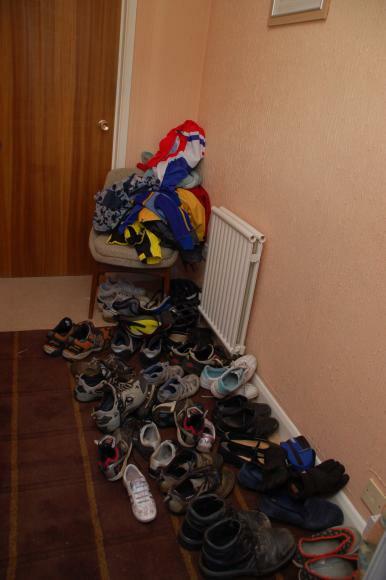 Seen here is the motley collection of footwear from our visitors in our hall.